New research out of UBC is pointing to strategies that could make playing slots less addictive — especially for problem gamblers. Slot machines designers are good at what they do. Not only is the casino game the single most popular form of gambling in the world, it is also the most addictive. But new research out of UBC is pointing to strategies that could make playing slots less addictive — especially for problem gamblers — by flashing warning messages right on a game's display screen. 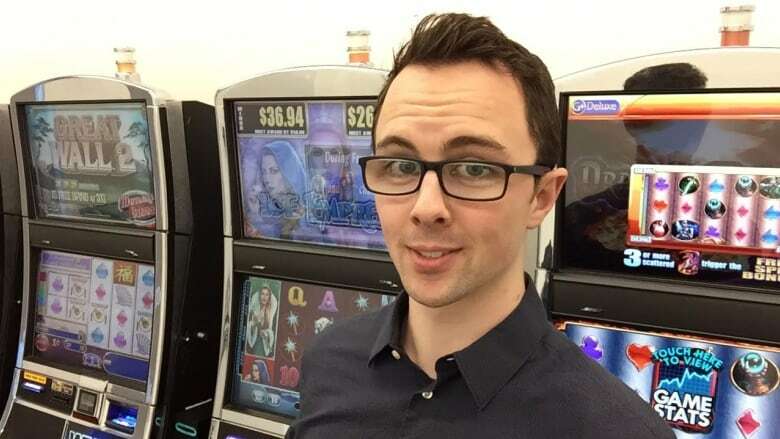 "The ideal responsible gambling messaging system for someone who is playing a slot machine is something that is presented intermittently overtop of the spinning reels," said Spencer Much, lead author of the study. Murch says the messages could work to break the trance-like state many problem gamblers fall into when playing slots, which state researchers have described as the "slot machine zone." "Normally we think that getting into the zone is a good thing — it helps us give our very best performance whether it's rock climbing, playing a video game or reading a book," said Murch. "However when you play a slot machine for an extended or intense gambling session, it all but guarantees greater financial losses. So this kind of immersion is a bad thing." To prove the point, UBC's Centre for Gambling Research used a group of first time slot machine players and a group that had a range of experience playing slots, including some self-described problem gamblers. Subjects were asked to play a real slot machine in the UBC casino lab while also performing a second task involving monitoring adjacent video panels and hitting a button every time a white square turned into a red circle. Not surprisingly, the self-described problem gamblers were the worst when it came to performing the peripheral task because they were less able to shift their focus away from the slot game. That's why Murch believes any warning messages should be shown directly on the game screen, not posted around the casino. One example of such a message: if you've lost track of time ... perhaps something is wrong. "We've found a very strong predictor of a person's risk of problem gambling is not remembering how long they've been playing," said Murch. Another potential screen message could read: don't chase losses. "If you lose money — which is always expected because these game always favour the house — it's not a good idea to keep gambling to win the money back because statistically that won't happen. In fact, losses will only deepen," he said. Murch says there are 28,000 problem gamblers in B.C.